Mark made his first radio broadcast from Bournemouth's Pier Theatre in August 1960 where he was starring in the '2.30 Special' summer season show for the legendary impresario Harold Fielding. The show was compared by Ted Rogers. Mark's first radio series was on Radio Luxembourg, called IT'S MARK TIME. An EP was released using the same title (see Discography), this was followed by a second series SWING INTO SUMMER. More recently Mark has been a ‘Guest Presenter’ on several slots for BBC Radio 2 which have included the narration of THE DANNY KAYE STORY. 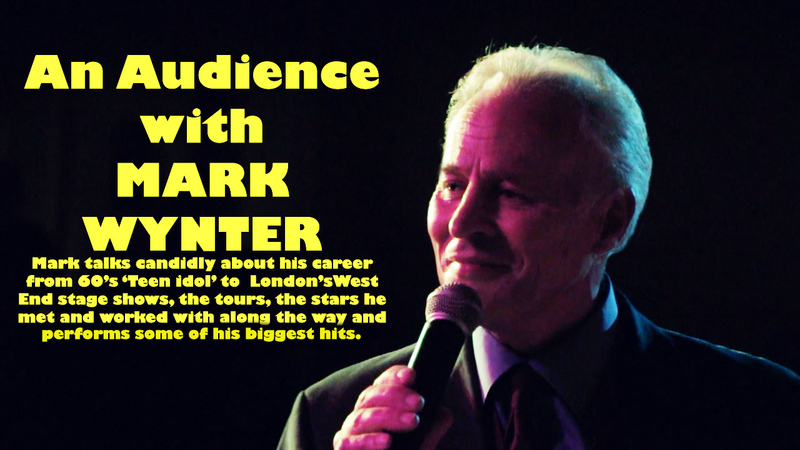 MARK on YouTube as featured in his show “AN AUDIENCE WITH MARK WYNTER” talking about his amazingly varied career from Pop Idol to West End leading man, the tours, the stars he met along the way PLUS Mark performs some of his big chart hits! Here is Mark's voice reel. You may use the player, or download Mark Wynter Showreel.MP3 directly. Here is Mark's TV showreel. You may use the player, or download showreel.mp4 directly.